I am not going to tell you that I had a love affair with Oreo’s. I ate them, but I very rarely hunted them down and had a massive craving. That being said, who doesn’t love a good sandwich cookie? The one thing I had yet to find? A reviewer that took these two cookies and put them in a head-to-head competition. A Battle Royale cookie style, so to speak. The gauntlet was down. The challenge was issued (by myself, but it was issued) and the comparison was on. SIZE: Both cookies are roughly 2.25″ wide and 3/4 of an inch thick. Pretty identical so no winner. SEPARATION: I never ate my name brand sandwich cookies as they came out of the package. Nope! This girl loved to do the twist maneuver on them and see if I could get them to separate with one clear cookie and one with the filling. Then I would eat the cookie, scrape the filling off the other, then eat the bottom bit. When I did the twist on these, they both had one clean side and one filling side. OVERALL COOKIE EXPERIENCE: Since this is an overall impression of this cookie, and since I have deconstructed the parts, the cookie was eaten in a way I am not accustomed to: In 1 piece! The Joe-Joe had a nice crunch but overall, I just don’t care for the texture or the bit of an aftertaste that it leaves in my mouth. I’m not food savvy enough to truly describe the flavor, but the cookie leaves a very gritty feeling in my mouth that does not feel right. 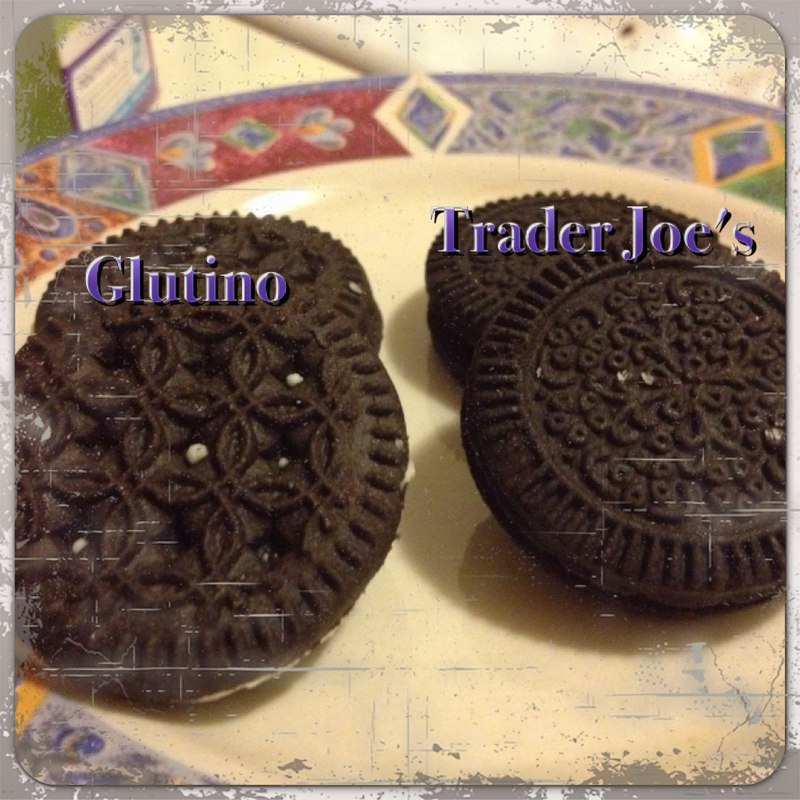 The Glutino had what tasted like a higher cookie-to-filling ratio. My bites definitely had more cookie than filling, but they did not leave that gritty feeling in my mouth. There is a bit of an aftertaste to this, but it was not an “ew” sort of taste, but a familiar taste that made my mouth happy. 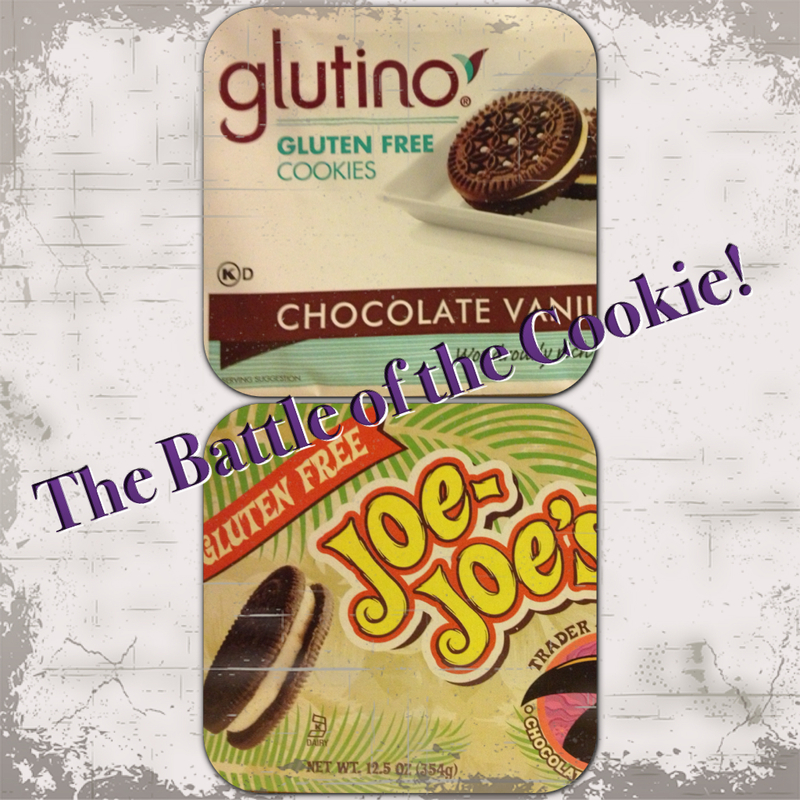 Both cookies are good, but based on all the variables listed here the winner of the Faux-Reo Challenge is the Glutino Chocolate Sandwich Cookie!